We’ve arrived in the land of Shakespeare, Harry Potter, salt and vinegar crisps, and clockwise roundabouts. To be more accurate, we’ve settled ourselves in a tiny village in stunning Cornwall, England. We plan to enjoy cream tea (more on cream tea etiquette soon), Cornish pasties, long walks on the beach and getting to work on lots of ideas we have for Around the World Stories. But getting here was certainly not half the fun. 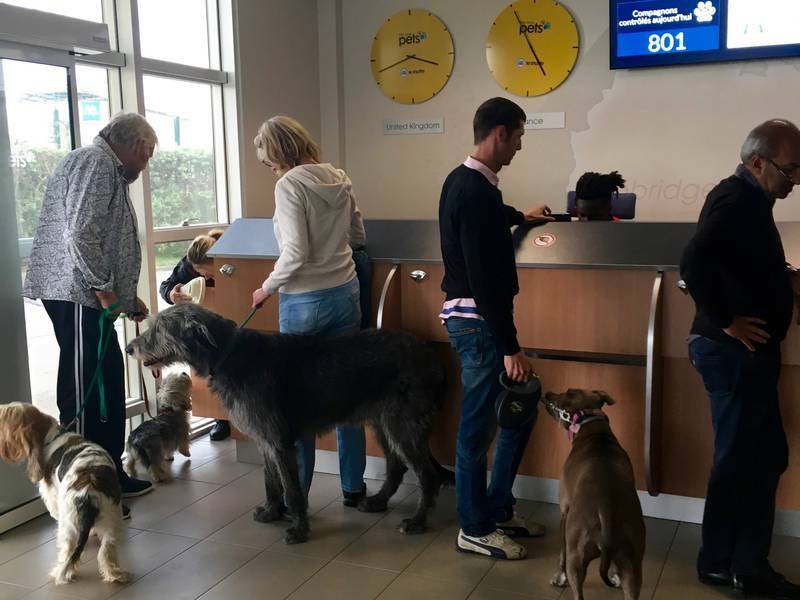 We often get asked what it’s like to travel with our dog, and I’m happy to say it’s usually pretty easy in dog-friendly Europe. Apart from a few incidents of her chasing ducks in lakes (her weakness) and yelping from her bike trailer (her arch nemesis), it’s been wonderful having her. 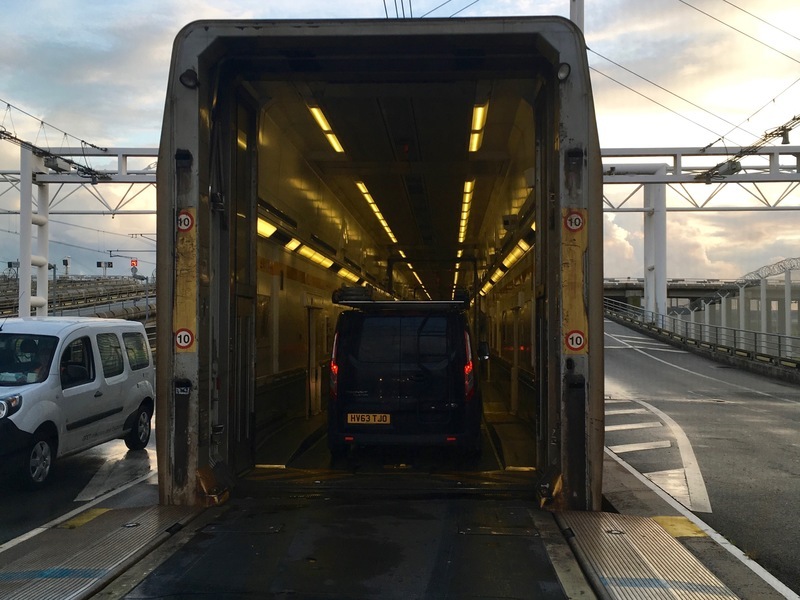 So instead of putting her in a cage for even a short flight, we decided to drive from Germany to France and then take the Chunnel by putting our rental car on the train. 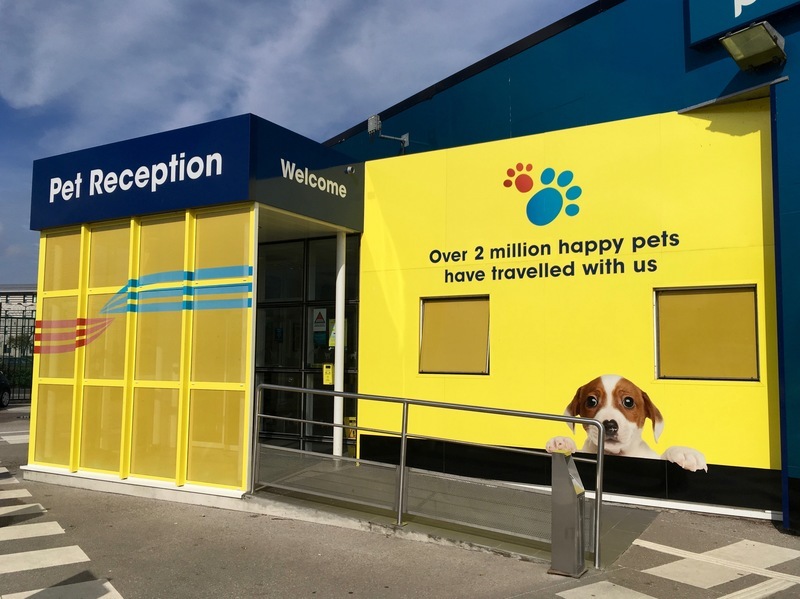 But as much as we researched (and researched some more) the rules for getting her into England, we still hit a wall at pet customs. Apparently her EU Pet Passport wasn’t valid because she was microchipped and vaccinated for rabies in the US. At the same time, our official paperwork from the US to allow her to enter Europe was stamped too long ago for entry into the UK. Luckily there was a work-around, but it involved many phone calls to several vets around Europe and a letter from our vet in Portland, which wouldn’t open for another nine hours. I do have to say watching 875 pets go through that day made for a long but quite entertaining day. Seeing and hearing the dogs interact with each other was quite a show that almost made those 9 hours of waiting fun. Finally at 6pm we were given the stamp and allowed to pass through the pet reception area. But just when we thought the hard part was over…. I suppose it’s not normal for families to be on the road for 15 months. So as the British customs officer started flipping through our passports, he began shaking his head. We explained everything — that we left the US to travel and write stories for kids. Apparently that explanation didn’t satisfy him. He made us pull over and go inside for further questioning. We once again told our story. Over and over we explained our situation. He asked why our kids weren’t in school, where we stayed on our travels and why we were coming to England at all. He just couldn’t believe we had been staying in guesthouses for over a year. He didn’t understand how in the world our kids could actually be learning on the road, and he certainly didn’t understand why. He asked to see our website and spent a long time looking at and listening to our stories. After much debate, he decided that although we were ‘suspicious’ he would let us in. That’s when he said we’d be getting a ‘Code Red’ stamp in our passports. For anyone who’s seen A Few Good Men starring Tom Cruise and Jack Nicholson, CODE RED means something entirely different. But for the British border patrol, a person is stamped with a Code Red when their travel is suspicious, but still legal. 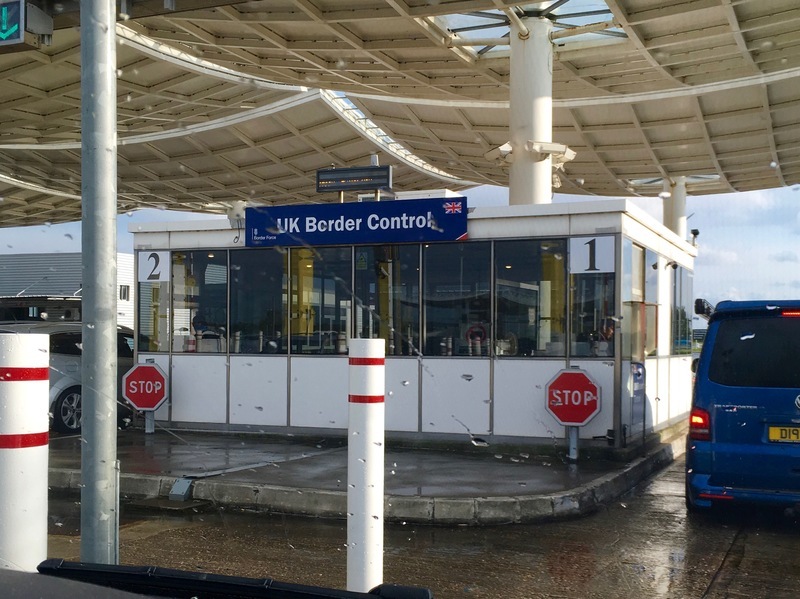 It tells other border officers that they should make sure our story matches the notes in their database before letting us in. I never thought I’d be so thrilled to be stamped as suspicious. We were in! 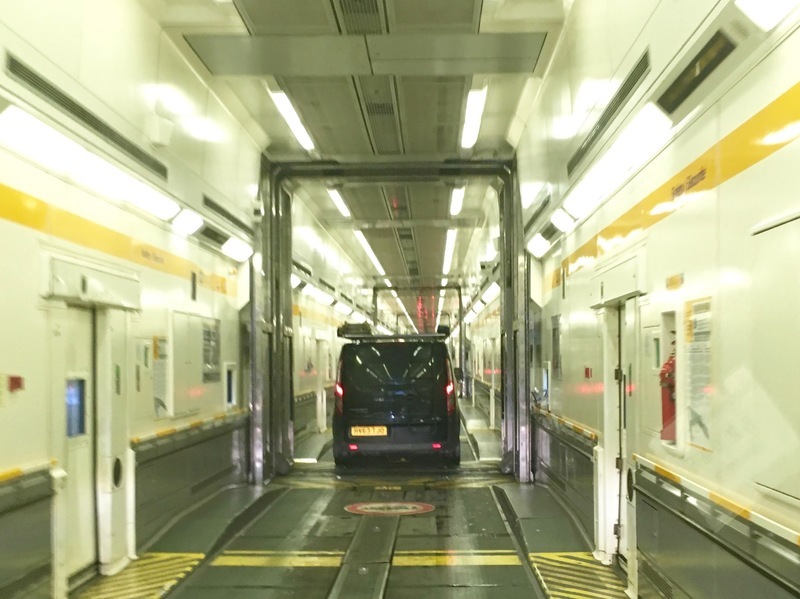 After loading our car into the Chunnel train and having to listen to Matt repeatedly reference A Few Good Men asking me if I “ordered the code red” and then claiming that I “can’t handle the truth,” we were on our way. The tunnel itself was a fun experience even though we couldn’t see much. We could tell we were underwater just from the moisture in the air and the pressure in our ears. Then it was just a small matter of a six-hour drive to Cornwall driving on the other side of the road (arriving at 4am) and Matt having to turn around, drive the car back to the Chunnel, cross over, drive through France and Belgium, return the rental car in Düsseldorf and fly back to Cornwall. The next morning we woke to a beautiful stained glass window (we couldn’t see it in the dark) in our hallway and a house in an adorable village. We met the veggie shop owner, got fresh fruit from the fruit market and bread from our new bakery. 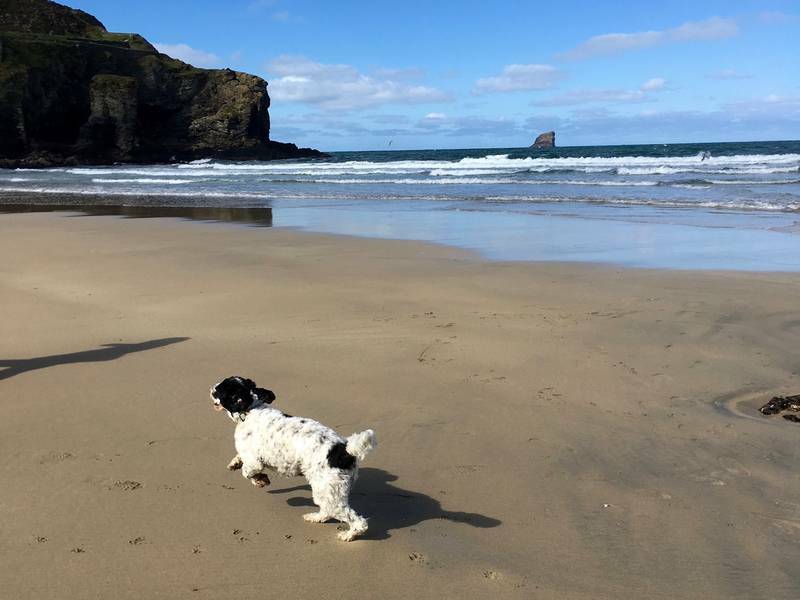 We explored the beach with our pup who was quite happy to be running free again. I’m getting used to being called ‘darling’ and ‘my love’ by complete strangers and getting in on the ‘passenger’ side of the car when I drive. The kids and I just listened to our story ‘The Giggling Guard – A Story about England’ today while eating homemade scones and drinking tea. 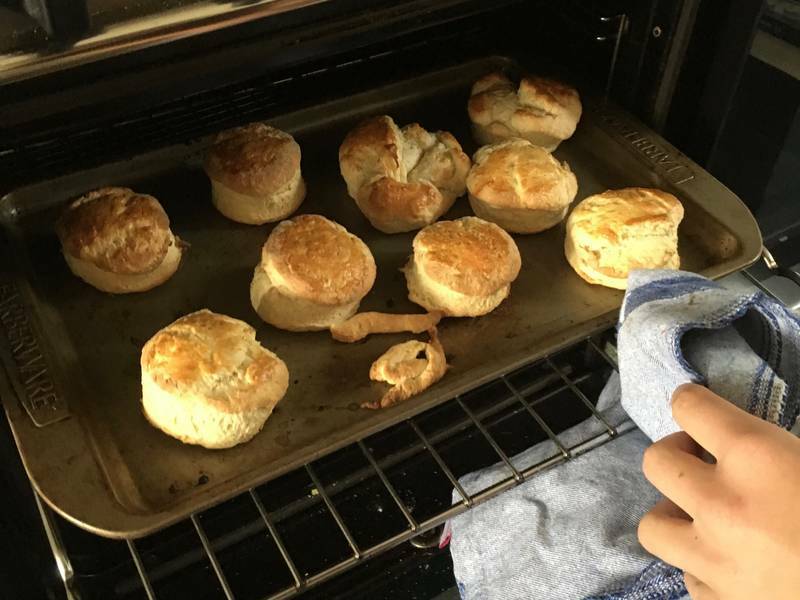 It’s one of my favorite stories, and we’re definitely adding this scone recipe to the parent guide! We’re excited to have you along as we explore beautiful England. 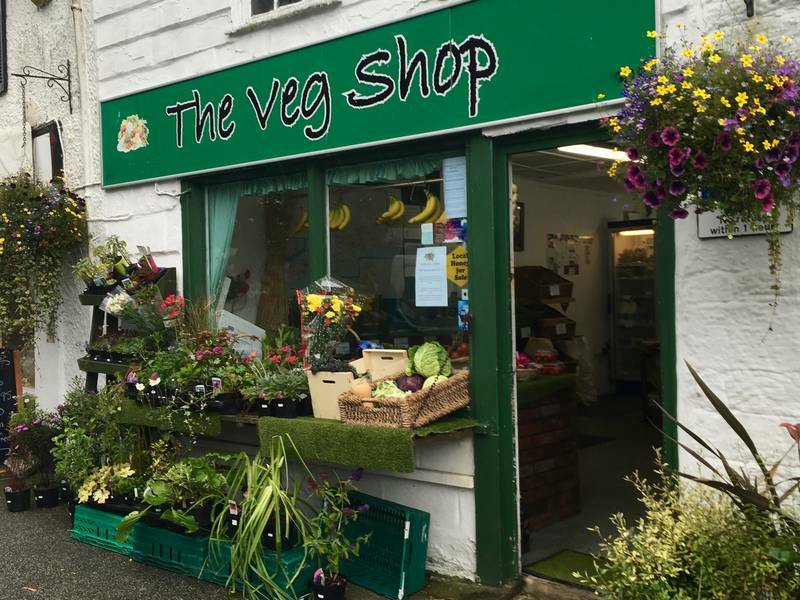 Such a rough entry – but a great story! Thanks for sharing! I can almost taste the cream tea. What an adventure! Mike’s brother likes to say that you either have a good time or a good story. Hope England treats you well! Ha! I love that – and it’s so true! The difficult times are real and add to the journey. I’m so happy that you share them with us. We’re hoping to incorporate international travel as much as possible with our kids and we love listening to your stories for inspiration. Thank you! 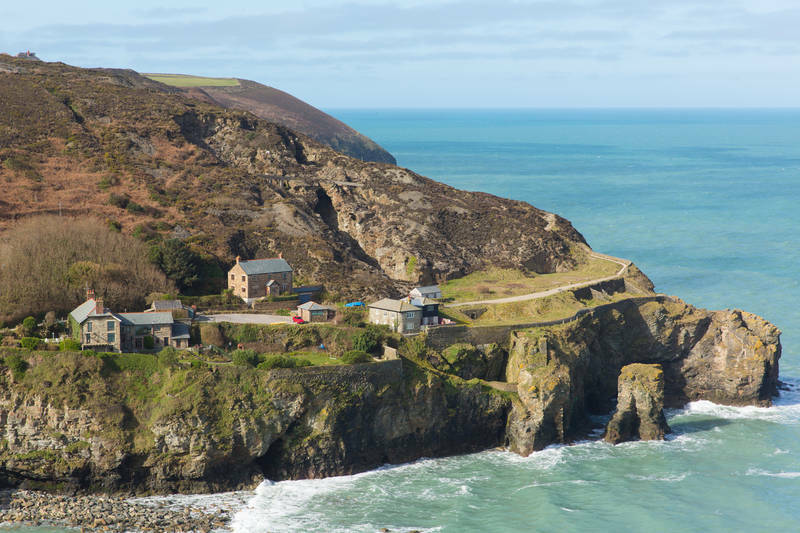 Glad you managed to get through border control and over here to old Blighty 🙂 Cornwall’s a beautiful part of the country and I hope that, despite the rather dull weather at the moment, you all have an enjoyable experience whilst here. We’re all so relieved and happy to be here!! I had only heard about Cornwall before this trip and we’re already loving it! Wow! What an adventure! Glad you guys made it in safely. I was laughing the whole way through, I’m sure it wasn’t funny then though. Ha! Right?! It was a rough few days, but we’re so happy to be settled now. The trip here makes it that much better. 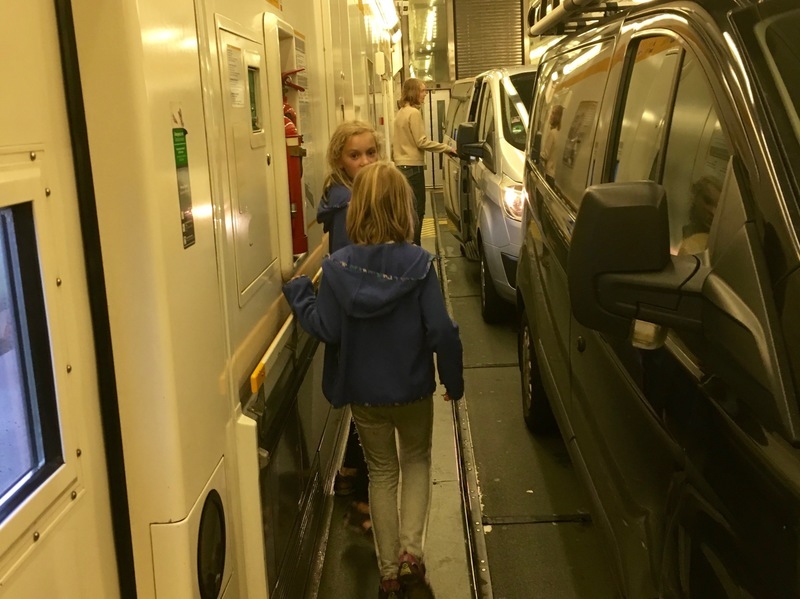 🙂 It is true about the kids – they’ve become so adaptable on this trip. I have to smile thinking back to what they ‘expected’ before this trip and how easy going they are now about so many things! I didn’t know you studied here in college. How fun! It really is a great country – excited to explore more of it! I can’t tell you how much I enjoy the stories of your adventures! Thank you for allowing us to live vicariously through your travels. Ohhh we need the story about the giggling guard as our oldest son is a guard in London.